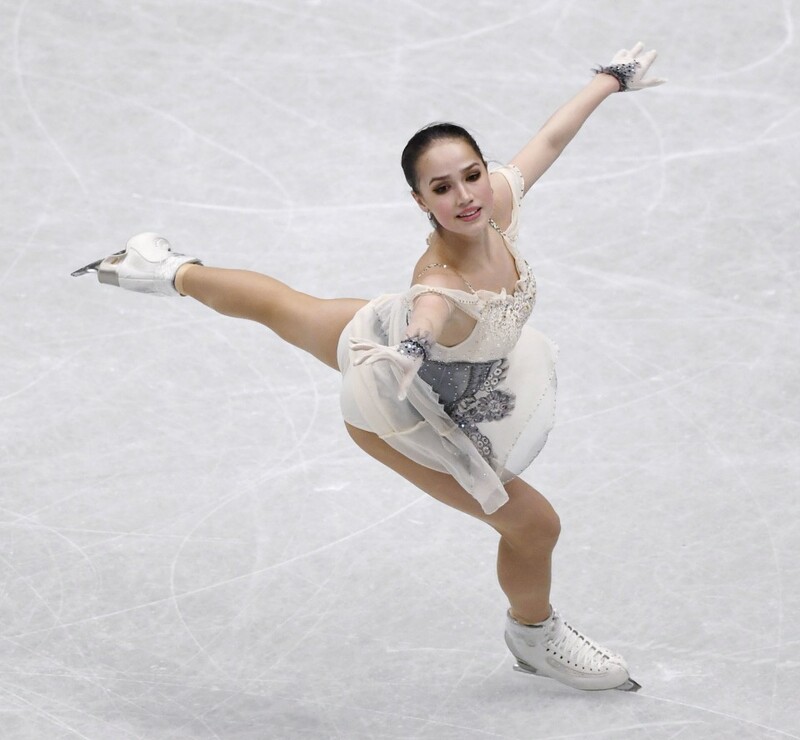 Pyeongchang Olympic gold medalist Alina Zagitova started her bid for a maiden World Figure Skating Championship crown in strong fashion Wednesday by placing first in the women's individual short program. 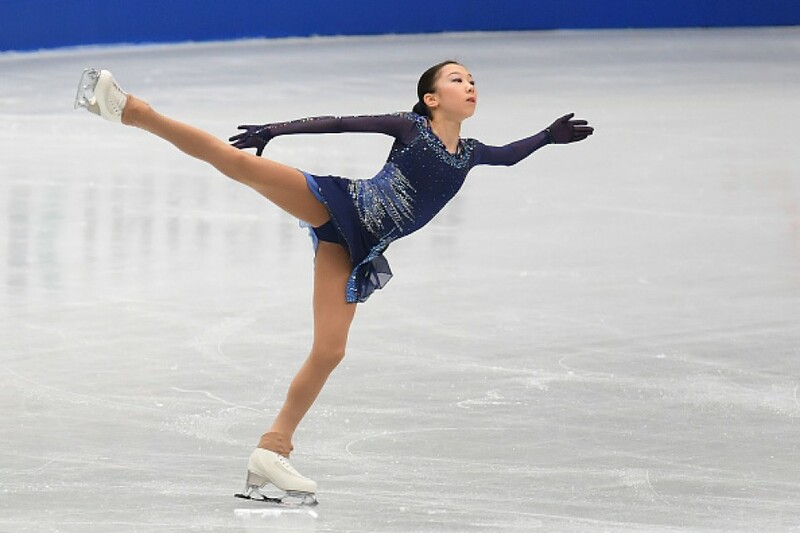 The 16-year-old former junior world champion from Russia skated a flawless routine for a score of 82.08 points on the competition's opening day at Saitama Super Arena near Tokyo. 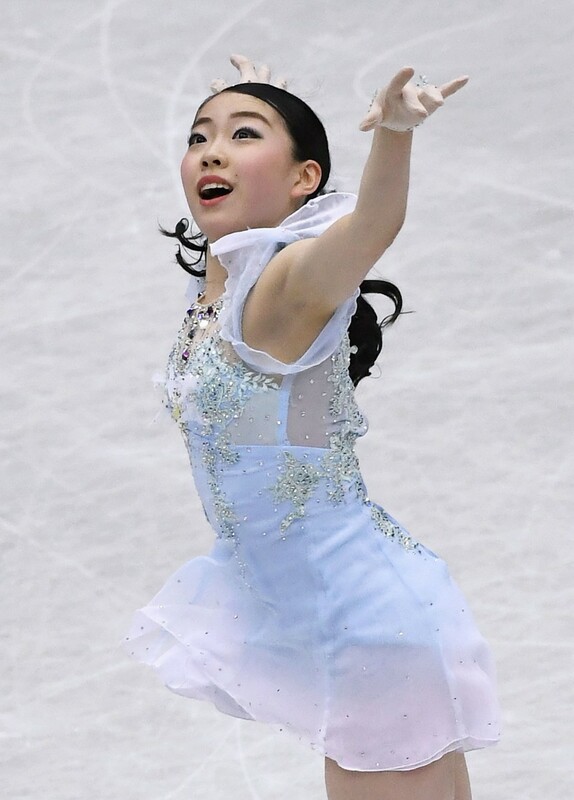 Skating to "The Phantom of the Opera," she nailed a triple Lutz-triple loop combination, a double axel and a late triple flip to finish the stage 5.22 ahead of Japan's Kaori Sakamoto in second place. 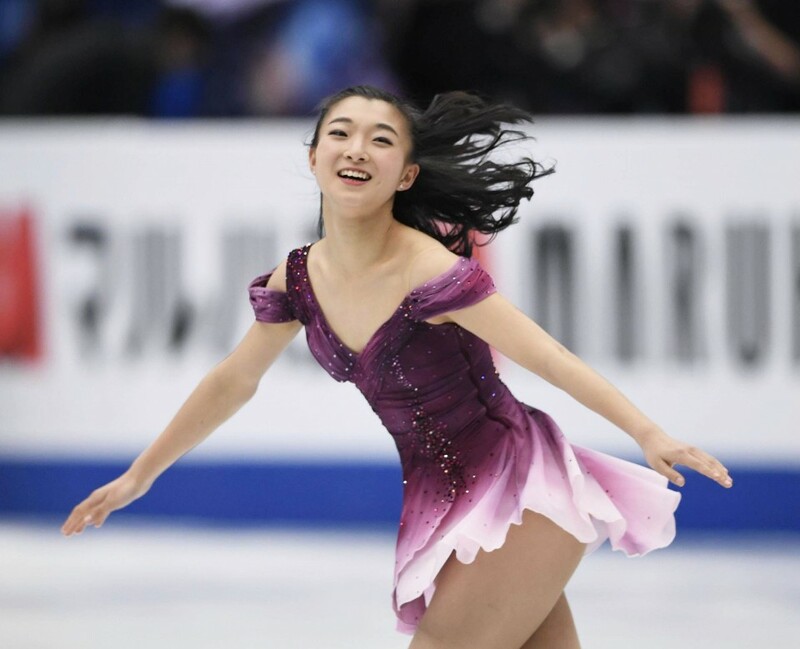 Although she is the reigning Japan champion, the 18-year-old Sakamoto entered the meet with less fanfare than younger compatriot Rika Kihira, who many have tipped to win the world title at her first attempt. 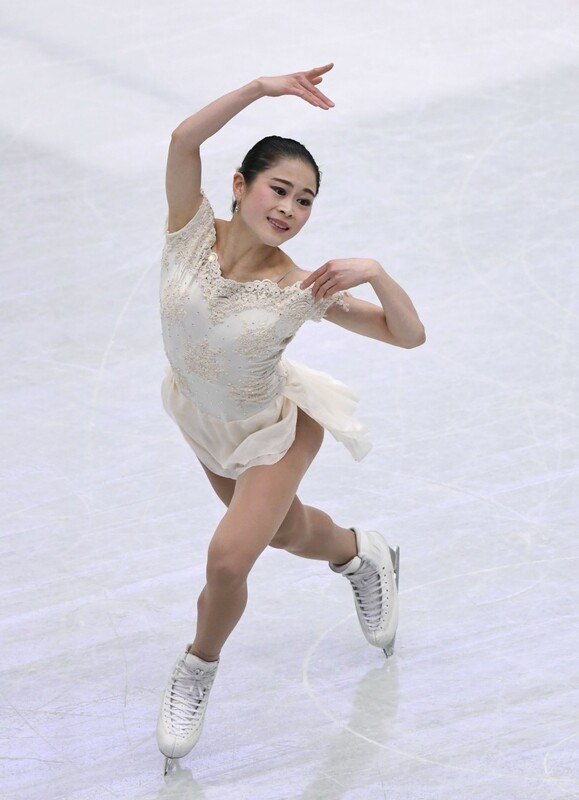 Sakamoto received a huge roar from the crowd as she hit a triple flip-triple toe loop combination to open her routine set to "From My First Moment." Sakamoto, who beat Kihira in December's nationals, also hit a double axel and triple loop in an outstanding routine. Her 76.86 put her at the front of the field with five skaters remaining. She remained in first as American Bradie Tennell, then Japan's Satoko Miyahara were unable to surpass her score. Two-time world champion and Pyeongchang silver medalist Evgenia Medvedeva of Russia was likewise unable to move past her with just Kihira and Zagitova left to skate. 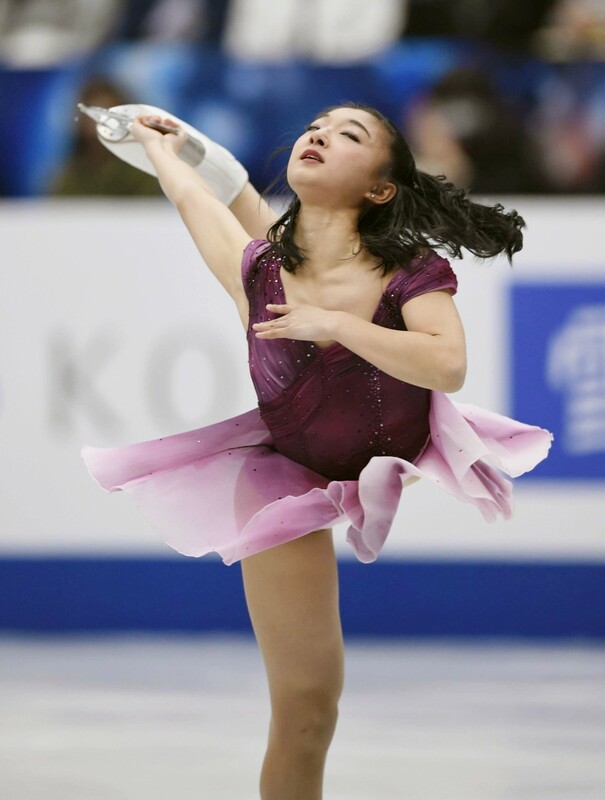 Kihira, one of only a handful of women with the triple axel in her repertoire, had been set to open with the jump after landing it three times in practice. 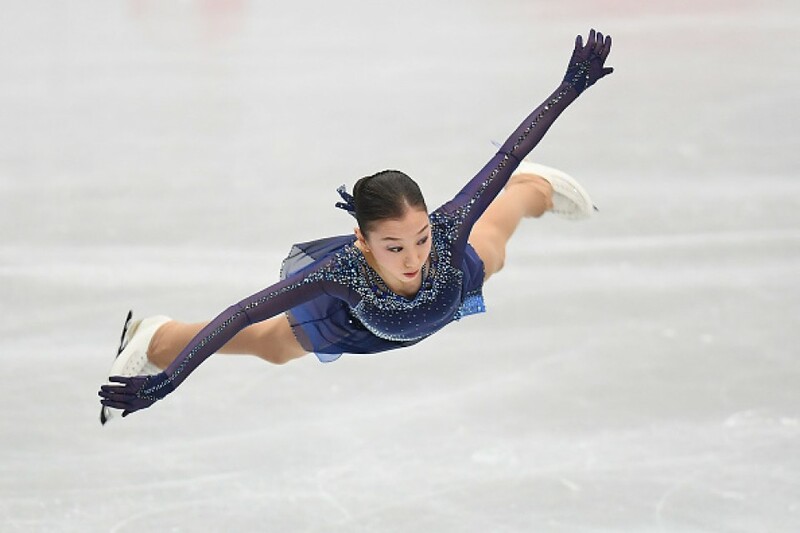 But the 16-year-old star pulled out of her jump, turning it into a single axel and finished with 70.90 and seventh place. Zagitova's training partner, Elizabet Tursynbaeva of Kazakhstan, is third after scoring 75.96, with Medvedeva 1.73 points back in fourth. Miyahara scored 70.60 to sit eighth. She hit all of her components, including an opening triple lutz-triple toe loop combination. 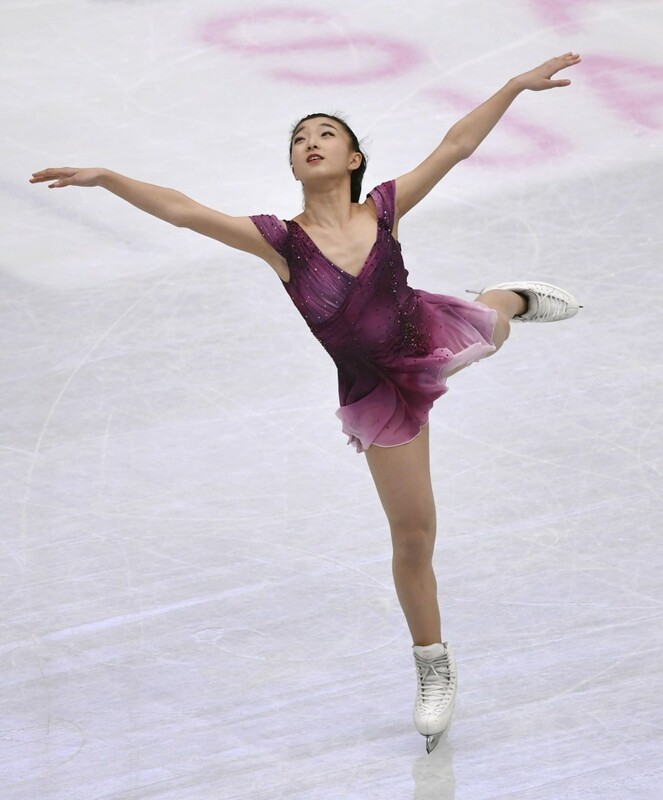 Sakamoto said she had beefed up her training schedule following her disappointment last month at the Four Continents in Anaheim, where she finished fourth after coming second in the short program. 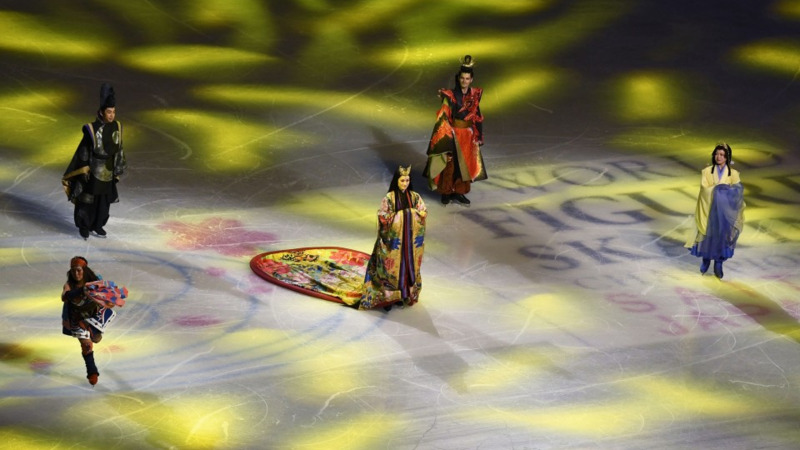 "It's true that the Four Continents was a very disappointing competition. For about a month after I came back, I was feeling quite down. So I decided to increase my training volume, doing even more than I had been prior to the Olympics," Sakamoto said. The Kobe native admitted to feeling some nerves before her short program but said she would take a positive frame of mind into Friday's free skate. "There's always a feeling of nervousness, but this time it was a good kind of nervousness. 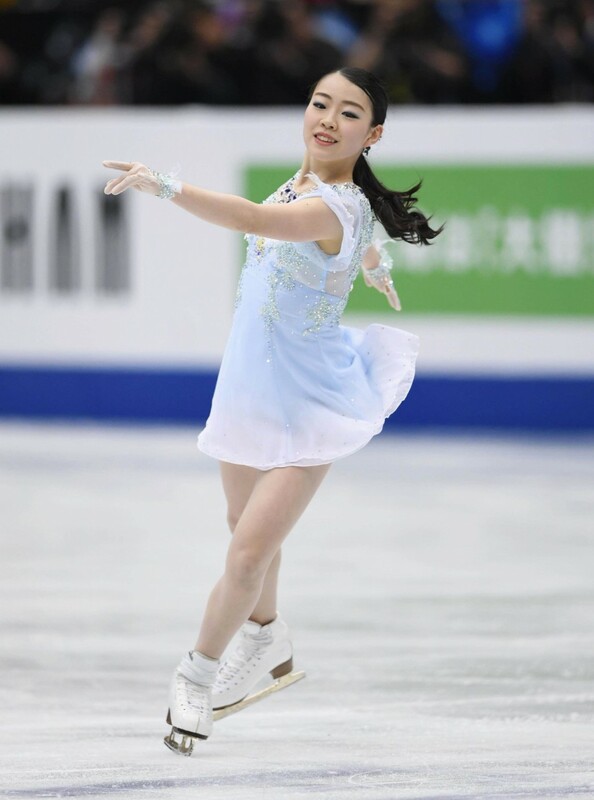 I'm very happy with the way I skated because I was able to put in a good performance for myself," she said. For Zagitova, winning in front of her Japanese fans would be a high point in what has been a difficult season so far, she said. "During this season I have actually experienced many mistakes during practice, and that made me more nervous. But thanks to tremendous support from my coaches, I was able to overcome it," Zagitova said. "I always get a great reception in Japan, so anytime I get to perform here, I am happy. I want to show my best performance in the free program." 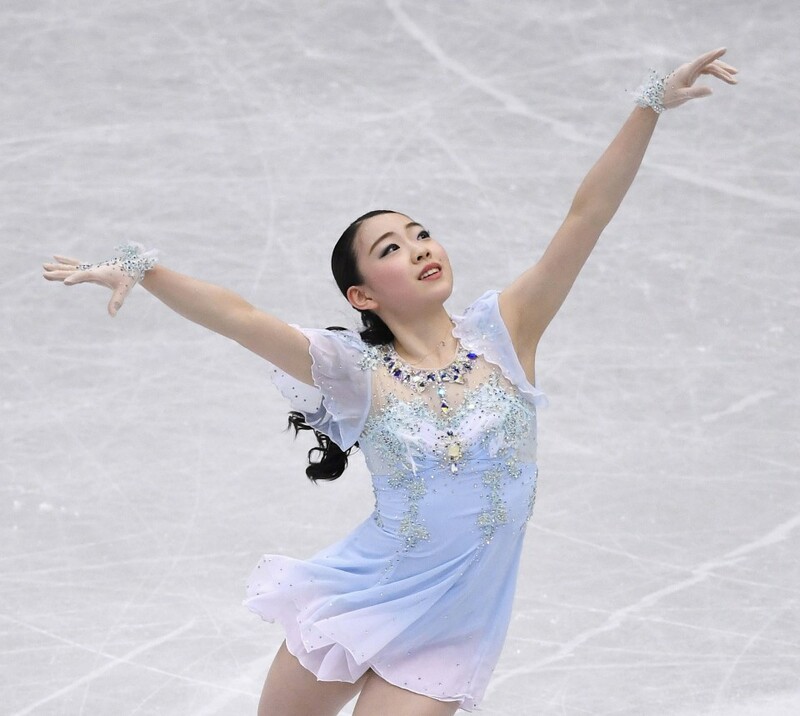 Kihira has shown she can come from behind, winning the Four Continents after finishing fifth in the short program. Including the Four Continents, she has won all six of her international meets this season -- her first in senior competition. But she will have her work cut out for her in maintaining her perfect record in the free skate Friday given the strength of the competition. Double Olympic champion Yuzuru Hanyu will be aiming for a third world title when the men's competition gets under way Thursday. The 24-year-old superstar won his first world crown here in 2014.